Hebrews 13:5 is one for all of us – child or adult. I have one child who has always had a love for money. I’m sure we can all think of adults who are more motivated by money than anything else. Heck, maybe we’ve been guilty of this. 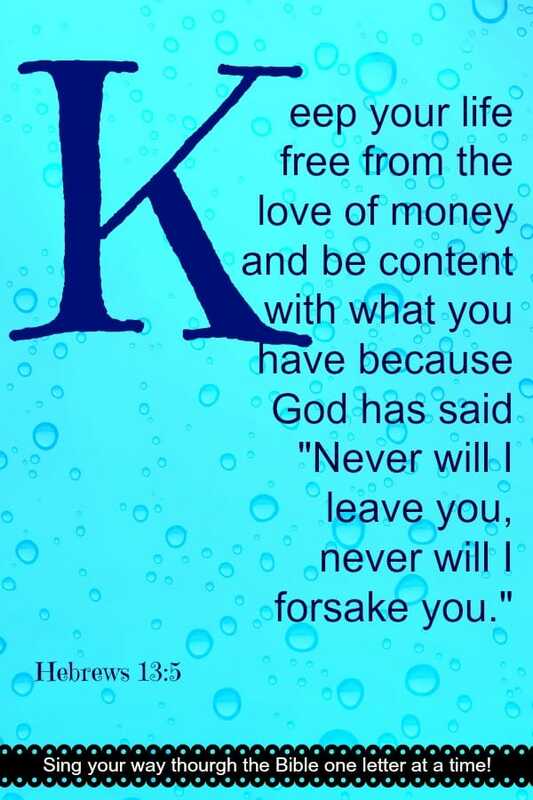 And while money isn’t bad by any means, it’s always good to be reminded of it’s limits and that God will take care of us regardless of how much money we have. You’ll just want to memorize the first part of this song but it should get you going. As always you can visit the resource library to print out the verse to hang up throughout the week. If you’re just joining us and want to start at the beginning of our journey of ABC verses then click here for the index! the verse each time they walk by it. A word search that contains the main words in the verse. 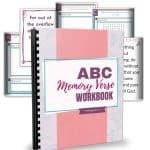 Get your ABC Memory Verse Workbook here!